Hondon Valley Villas ... rent a villa before you buy in Hondon! Our desire is to bring you TOP QUALITY and VALUE RENTAL PROPERTIES. We have an extensive knowledge of life in the Hondon Valley... as we live here!! 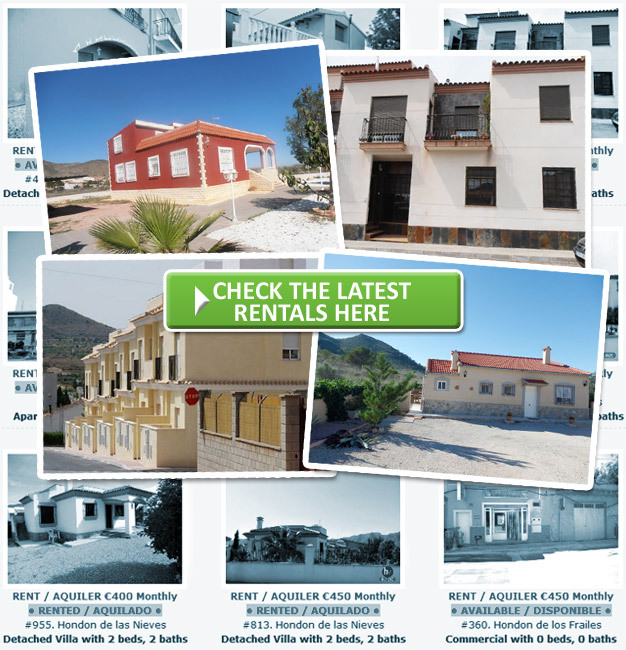 Post by Hondon Villas, Buy, Sell or Rent. 3 bedroom villa for rent, will easily sleep 6 people and has a private swimming pool in the front garden. Villa has spectacular valley and mountain views, and has Sky TV and Air-con installed. Villa accommodation in a tranquil setting, lying in the vine and almond growing valley of Hondon in the district of Alicante, Costa Blanca. Rent Casa Fuente Largo: Hondon de los Frailes - A private and well positioned detached villa with a pool for weekly holiday let. Short Stay Holiday: La Huerta, Albatera - Bed and Breakfast - A five bedroom villa, well positioned detached villa in the campo, stunnign view, peaceful with great facilities and excellent food. Has spacious outdoor areas, including a pool. For that get-away-from-it-all break.